BURNS, TN (June 15, 2018) - Data says that an amateur golfer’s chance of making a hole-in-one is 12,500 to one. But what are the odds of golfers in back-to-back groups making an ace on the same hole? 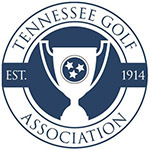 That’s exactly what happened at Montgomery Bell Golf Course on Friday in the final matches of the Tennessee Senior and Super Senior Four-Ball Championships, hosted by the Tennessee Golf Association. The first one was dramatic enough as Chattanooga native John Williams aced the 188-yard No. 16 hole in walk-off fashion to give him and playing partner John Spitalny a 4&2 victory over Ed Link and Frank Dial for the Super Senior title. But just minutes later, Dan Schorsten of Hendersonville stepped to the tee and repeated the feat. The hole-out pulled him and partner Bjorn Svedin all square with Mike Gallagher and Butch Okelley, and Schorsten and Svendin went on to win the match on the 18th hole, 1-up. Williams didn’t see his ball go in, either. But after a few moments of suspense back on the tee box, he and Spitalny realized they had won the match with a hole-in-one and broke out in celebration. Though this year’s finish was much more dramatic, it was the second consecutive Tennessee Super Senior Four-Ball title for the duo. They also won the event last year at Toqua Golf Club. For Spitalny, it’s his fifth overall Tennessee Golf Association amateur tournament title. He won the Tennessee Senior Amateur in 2015, and the Tennessee Super Senior Amateur in 2016 and 2017, in addition to last year’s four-ball crown. The outcome of Friday’s match was in doubt until the Chattanooga duo got hot on their back nine. They trailed after Link and Dial made a birdie on No. 4 but got it back to all square on the next hole and that’s how it stood going into No. 12. That’s when Williams sank a birdie putt from off the green to put the momentum in his team’s corner. Spitalny made a 40-footer on the next hole and Williams added another birdie on No. 14 to give them a commanding 3-up lead. After the two teams halved No. 15, the ace on 16 ended it. “It works out well for me because I can hit some squirrelly shots. I can relax and play, and that seems to work well." The Senior Division match was even more closely contested as neither team was ever up by more than one. Okelley and Gallagher took a one-up lead on No. 7 and again after 15, but Schorsten’s ace squared it up once again. All four golfers were on the green in three on the par five, 18th, but Svedin was the only one to two-putt. “It’s been a long week of golf,” Schorsten said. He and Svedin needed extra holes to win both their quarterfinal and semifinal matches on Thursday. They played a total of 39 holes that day. This is Schorsten’s second TGA title. He won the Tennessee Match Play Championship back in 1986. Open to senior and super-senior teams who are members of the TGA. Format consists of 36 holes of stroke play followed by a cut to the low 8 seniors and low 4 super seniors for match play.